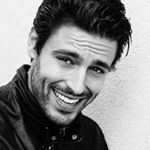 Pedro Soltz is a Brazilian Model, Actor and Entrepreneur. He started his professional modeling career when he was 19 years old, but left modeling for a while to complete his degree in Engineering and Business. He then returned to Modeling as a full-time profession establishing himself both, Nationally and Internationally, thanks to his collaboration with some of top modeling agencies in the world. At the same time, he has starred in multiple TV Commercials and on the "Small Screen," thanks to his training at some of the best acting schools. Pedro has had the opportunity to work for several large clients such as; Barilla, Gillette, L'OREAL, Head & Shoulders, Lavazza, Label 5, Alviero Martini Fragrances, Etam, Belvedere, Henkel, Schwarzkopf, Garnier, etc. Designers like Armani, Dolce & Gabbana, Versace, Lacoste, Zegna, Corneliani, Hugo Boss, etc. He also has had the privilege to be photographed by some of the top photographers; Mert Alas & Marcus Piggott and Annie Leibovitz just to name a few. After his appearance in 2010 on the TV show "Croatian Next Top Model," he became popular in Croatia. In 2011, he became well-known to the Italian public thanks to his participation in the reality show 'L'Isola dei Famosi,'. Where he was a guest of the show that a close friend was participating on. The following year 2012, he was asked to participate in the same show, but had to decline the invitation due to the birth of his daughter. He did, however, make another appearance as a studio guest. In 2013, Pedro was thought to be one of the sexiest men on the planet. When he was awarded the title of "Sexiest International Man of 2013" by a popular American web site. On 2015 he was named number 18th best Brazilian model by the FFW . 2015 also marked his career as an Actor, when He starred as Jesus, a brazilian soccer player, on the Most Popular Soap Opera in Croatia. 2016 Pedro had his 1st participation in a Movie. Demographic data for @pedrosoltz's audience is available for free to influence.co users.